The communication platform where you can process orders and stock in a fast way, plan transport and manage cultivation data, where and whenever you want! Process orders, manage your stock and share real time information. Full insight of your prognosed produce for you and your network. 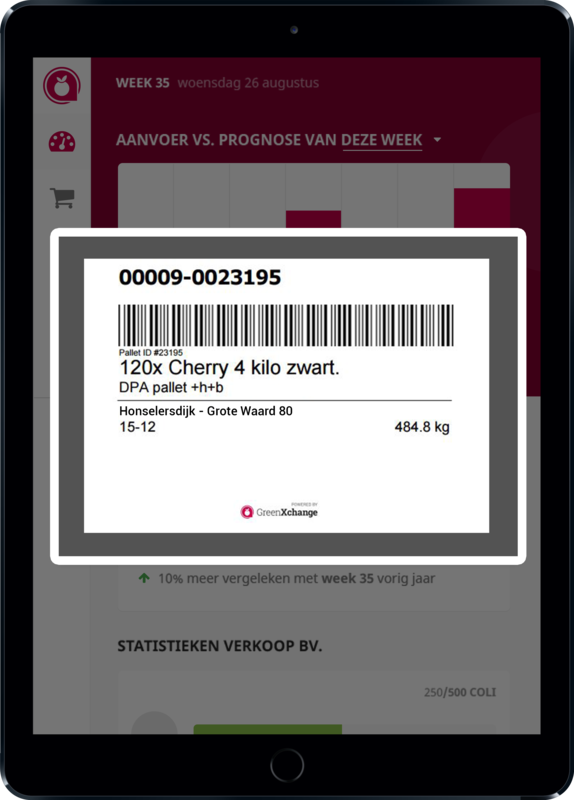 Print pallet labels in a quick way for the traceability of your product. Easily organize the transport of all your fresh products. Register your use of crop protection and fertilizers and share it with who you want. GreenXchange has been developed from a grower's perspective, as it is very important to have control over your cultivation activities. By simplifying the daily processes and improving communication with your network, GreenXchange contributes to the success of your business. 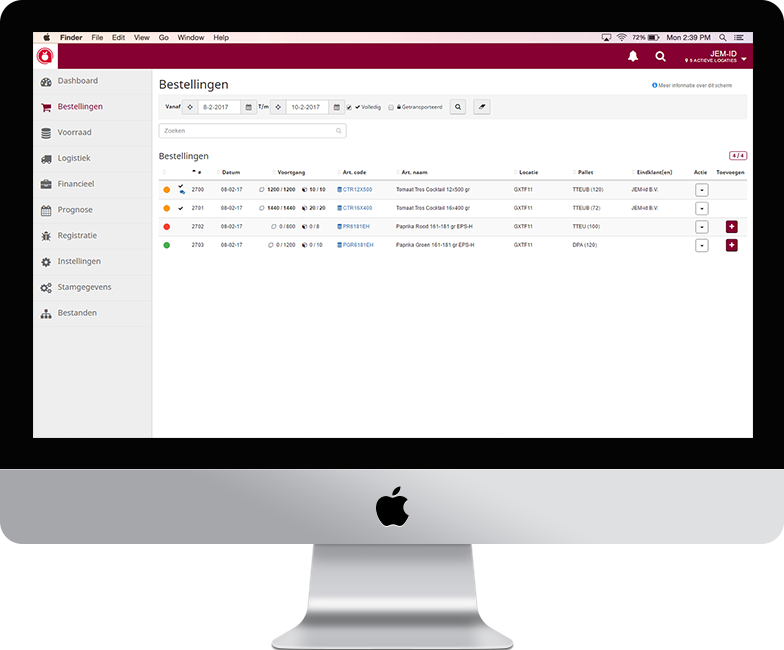 The functional tools and an open form of communication make this versatile platform particularly suitable for growers with a centralized sales department. Questions, comments or have a non-committal chat? Sign up for the GreenXchange newsletter!